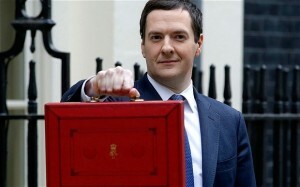 George Osborne has delivered his eighth Budget as chancellor. This Ramshaw revelation summarises the impact of the Chancellor’s 2016 budget on a number of HR related areas. For more information contact BEST member, Bruce Ramshaw. Personal allowances will increase from £11,000 in 2016-17 to £11,500 in 2017-18. This will ensure that no one working 30 hours per week on the national minimum wage will pay income tax in 2017-18. In addition, the higher-rate tax threshold will increase from £42,385 to £45,000 in April 2017. From 2018, termination payments of more than £30,000 will be subject to employer national insurance contributions. The majority of redundancy payments are currently exempt from employee and employer national insurance contributions with the first £30,000 being tax free. The budget confirmed that childcare vouchers will be closed to new entrants from April 2018 when the new Tax-Free Childcare (TFC) initiative is launched. From April 2017, employers will receive a 10 per cent top-up on their monthly levy contributions in England, available to spend on apprenticeship training through their on-line account. Further details on this are due to be published in June.